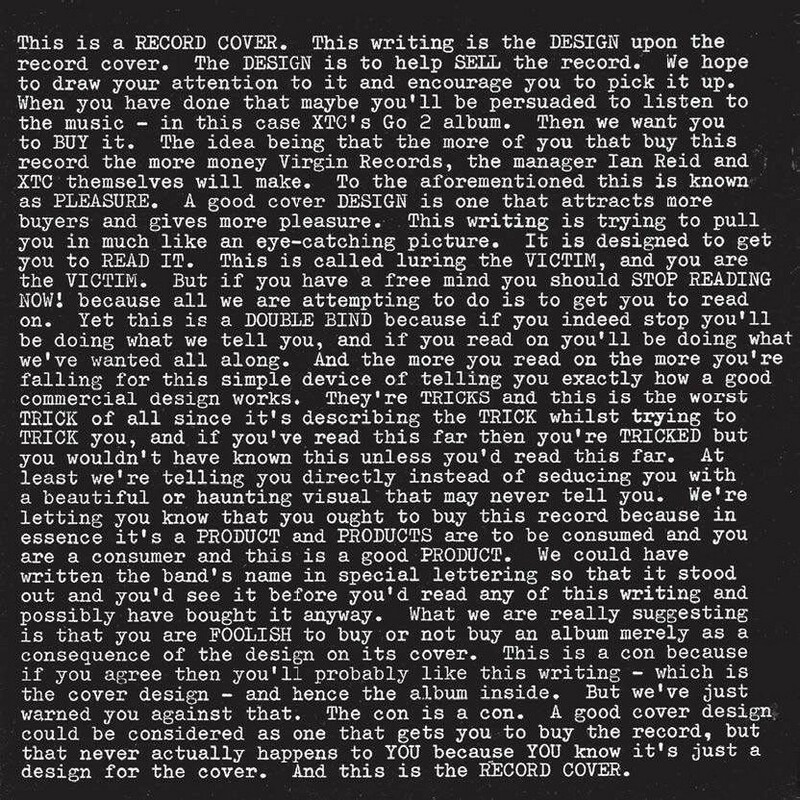 Like the post-punk record inside its sleeve, the cover for XTC’s 1978 album Go 2 rejects the conventions and stereotypes of rock ’n’ roll, eschewing photographs of the Swindon band and instead delivering a confusing essay in a stark typewritten font on whether the reader should buy the record. Designed by Hipgnosis, it’s perhaps the most boldly self-referencing sleeve of all time, the letter beginning with the statement “This is a RECORD COVER”. 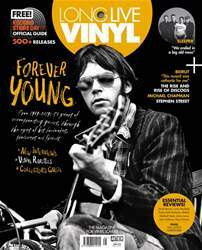 The reader is toyed with and challenged, first being told “we want you to BUY it”, because “the more of you that buy this record the more money Virgin Records will make”, then “This is called luring the VICTIM and you are the VICTIM”. The essay refers to the “TRICKS” of commercial design before concluding “The con is a con. A good cover design could be considered as one that gets you to buy the record, but that never happens to YOU because YOU know it’s just a design for the cover. And this is the RECORD COVER.” How the design affected sales is up for debate, but the album itself, released only nine months after debut White Music, was, in truth, easily forgettable.